There have been several occasions in recent years when a customer heard me talking about Hellboy (which is a frequent occurence) and asked: Where Do I Start? The Hellboy shelf is chock full of choices, and for those who might only know of the character through the two films, it can be a daunting challenge to pick where to begin. The obvious choice would be to start with volume 1: Seed of Destruction. 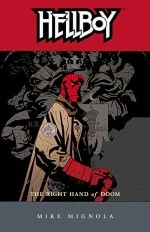 After all, this volume does present Hellboy’s origin and kicks off the big themes that persist throughout the story. I would suggest that even though this is where it all starts, newcomers might be better served to start elsewhere. Hellboy: Seed of Destruction, while essential to understanding the big picture of Hellboy, doesn’t quite feel as cohesive as later volumes. This is partially due to the fact that it was scripted by John Byrne. Byrne has rightly earned a place of respect for his huge body of work as both an artist and a writer, but Hellboy is Mike Mignola’s baby, and was much better served when he started writing it full time. As Mignola’s confidence as a writer grew, so did the overall quality of the book. While you’ll never hear me complain about the artwork, it’s also evident in later volumes that the quality consistently improved once Mignola got more comfortable with the character. With that said, the question still remains: Where Do I Start? When I talk to new customers about Hellboy, I always start by recommending volume 3: The Chained Coffin and Others, and volume 4: The Right Hand of Doom. It should be noted that I still think Seed of Destruction and, in particular, volume 2: Wake the Devil are essential stories to read, but if you’re just getting into the Hellboy Universe, there are benefits of starting with the third and fourth volumes. The first benefit is that The Chained Coffin and The Right Hand of Doom are comprised of short stories and shorter arcs. 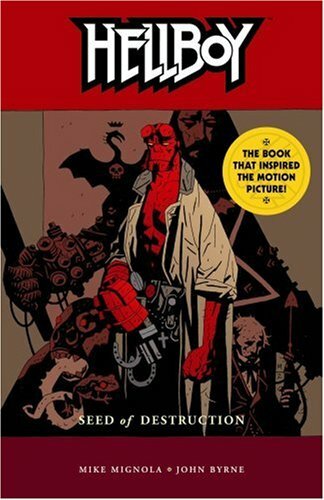 You’ll get a more immediate understanding of the characters and situations, and will still have the opportunity to read several classic Hellboy stories, like volume three’s Almost Colossus and The Wolves of Saint August, and volume four’s Pancakes, The Right Hand of Doom and Box Full of Evil. Starting with the third and fourth volumes also plants you right between two epic stories, volume two’s Wake the Devil and volume five’s Conqueror Worm. If you like what you read, it will be easy to go back and read the first two volumes without any problem. My thought is that when you jump into a long-running series, there’s much to gain by starting with shorter pieces. You could start right at the beginning, but as with Hellboy, sometimes the earliest volumes take a little while to get rolling. By beginning your journey with shorter stories, you’re able to not only ascertain most of what you need to know about the characters and themes, but you won’t feel entrenched in immediate continuity. Hellboy is a book created with a great deal of respect for all aspects of comics storytelling. It’s also the product of creators who care about horror, pulp and adventure comics and stories, and continually find ways of celebrating those genres in new and interesting ways. Give the book a try and remind yourself how much fun comics can be. I took this advice from you a few months ago and became a Hellboy/BPRD/Mignola fan for life. Thanks Seth–I hope others follow suit. It certainly helps that the narrative isn’t strictly chronological. Great recommendations, Seth! I binge-bought all the trades (at the time) at once and read them sequentially but I’d give the same advice. The Right Hand of Doom is still my favorite volume. These are definitely great recommendations. 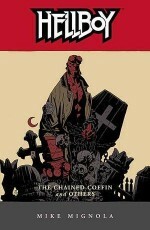 It also helps that these collections have some of Mignola’s best stories in them!